As a small or large business owner looking to take full advantage of the Internet and its marketing capabilities, you need access to search engine optimization capabilities that will provide a lasting effect. This means that the SEO services must last for the long haul. You do not want to have to worry about losing rankings, prospects and customers whenever Google has its next update. That’s a tough way to run a business, and it’s not the kind of SEO that you should worry about for your company. In truth, you need an SEO company that understands the ups and downs of search engine algorithms. 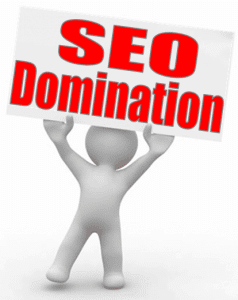 You need an SEO firm that will help you maintain consistent rankings for the long term. We are the SEO agency of choice. We understand the search engines. We understand algorithm updates. And more importantly than anything else, we understand how to insulate your business so that you do not experience the ups and downs of any search engine changes. If you own a local business, one of the best ways to advertise your company and get your products and services out in front of potential prospects is through the search engines. But if you do not know how to implement your own search engine optimization strategies, you’ll have a difficult time making this happen. We have mastered local SEO over the years. We know the ins and outs of the search engines, and understand how to keep your listing at the top of Google no matter what the circumstance. We’ve had many customers provide wonderful testimonials for our local SEO company over time. We’d like to be the company of choice to help you as well, so please allow us the opportunity to do so. In the end, sustainability is everything when it comes to Internet marketing and getting your products and services in front of potential customers. When you set up a search engine campaign, it has to last for the long run. We can help make this into a reality. It takes a lot of work and persistence, but we are happy to do so on your behalf. Give us a call and will get the ball rolling as soon as possible.